Want your message to cruise the streets and be seen by the masses? Our Bike Billboards look sleek, professional and attract attention. 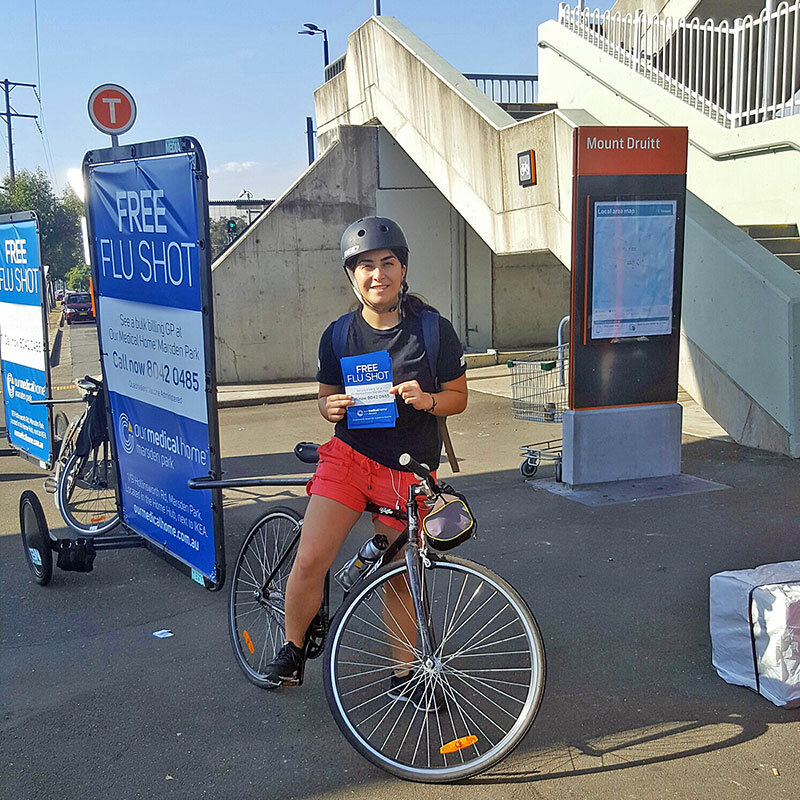 Your moving message attracts the eye and people can engage the riders, who are briefed with your message. Movement catches the eye. These are really effective in areas where static advertising is easy to ignore. Our teams are briefed on your message and target demographic. They can engage with people, distribute information, answer questions and direct people to a location. We use stringent employment and training methods to ensure a high quality of promo staff and in some cases can provide bilingual teams. Bike Billboards are used on the road, walked through high foot traffic areas and can be stationary. They are perfect for areas where static advertising is easily ignored or limited, like transport hubs. Bike billboards are often used in pairs or more for greater impact. The message is duplicated or often in a series. They are ridden on roads and where there are busy pedestrian areas, they are walked. The teams can stop around busy areas and use their billboard as a sign whilst engaging with the target audience.